Have you ever used MPEG Streamclip to convert videos or burning videos to DVD? Have you ever benefited from its powerful and convenient functions? Are you happy with the experience every time you use it? If you’ve even suffered some problems such as MPEG Streamclip not working and you want a more reliable piece of software, today in this post I will introduce you some Streamclip alternatives. Part 1: What is MPEG Streamclip? MPEG Streamclip is a very popular and practical video converter that works for Windows and Mac OS. It’s a cross-platform program and entirely free with no strings attached, which make MPEG Streamclip become one of the most popular video converters around the world. MPEG Streamclip makes Mac video editing much easier than other software and this feature also gives MPEG Streamclip a huge user base. What’s more, despite being a free program, MPEG Streamclip is a very powerful tool in not only video conversion but the video edition and video player on both Mac and Windows systems. MPEG Streamclip offers support for MPEG video (MPEG4, MPEG2), various QuickTime formats and lots of mainstream video formats as well as burning videos to DVD or streaming VOB files to DVD. In a word, MPEG Streamclip is a multi-functional video converter which carries many powerful functions such as video editor and DVD burner. Although it is very reliable and has powerful functions，there are still some problems with MPEG Streamclip which may bother some users. One of the more obvious flaws is the one we mentioned above, the video/audio format that can be supported by MPEG Streamclip is very limited due to its old version. If you are not very satisfied with MPEG Streamclip as well, the good news is that there is some software equipped with more functional capabilities that can replace MPEG Streamclip. And today in this part I will recommend the top 5 MPEG Streamclip Alternatives to you which can help you convert videos without MPEG Streamclip. The first MPEG Streamclip I’d like to introduce to you is Leawo Video Converter. It is the best MPEG Streamclip alternative which can support more than 180 different videos and audios formats such as MP4, MKV, AVI, MP3, AAC, etc. As an all-in-one video converter, Leawo Video Converter has all the features that MPEG Streamclip can offer to you and Leawo can even satisfy many of the functions you want which MPEG Streanclip can’t do such as 2D to 3D conversions. The biggest reason I recommend it is its fast conversion speed and minimal quality loss. I promise that Leawo Video Converter will give you the better conversion experience than MPEG Streamclip. HandBrake is also an all-in-one video converter that can process most common multimedia files and any DVD or Blu-ray sources that do not contain any kind of copy protection. It’s a good choice for you to use HandBrake as the MPEG Streamclip alternative because of its high quality conversion and universal formats supporting ability. Just like Leawo Video Converter, Freemake Video Converter is one of the most popular video converters around the world which can support all popular and rare formats: MP4, AVI, MKV, WMV, MP3, DVD, 3GP, SWF, FLV, HD, MOV, RM, QT, Divx, Xvid, TS, MTS, Fraps, etc. Compared with MPEG Streamclip, Freemake Video Converter has faster conversion speed, much more formats supporting and easier operation interface. That’s the reason why I put it in the third place. Any Video Converter is also a good choice for your video conversion needs because it supports all the major formats and has faster speed than traditional converter. It’s a powerful and easy-to-use video converter which can do any other jobs such as downloading 4K videos and burning DVD files. As a MPEG Streamclip alternative, Any Video Converter is capable of almost all the jobs that MPEG Streamclip can do. The last one I want to introduce to you is Online Video Converter. Just like its name, Online Video Converter is a free online converter. You just need to paste its URL into your browser and then you can get start to convert videos. Although its conversion quality may not be as good as the aforementioned software, it’s a bit of process that saves the time for you in downloading and installing program. If you are tired of using a software program and prefer a more convenient method to convert videos, I think you will like Online Video Converter. Now you may have general understanding of these MPEG Streamclip alternative, and what I’m going to do in this part is to show you how to use MPEG Streamclip alternative to convert videos. Therefore, I will take Leawo Video Converter as the example to do this job because it is the best MPEG Streamclip alternative. 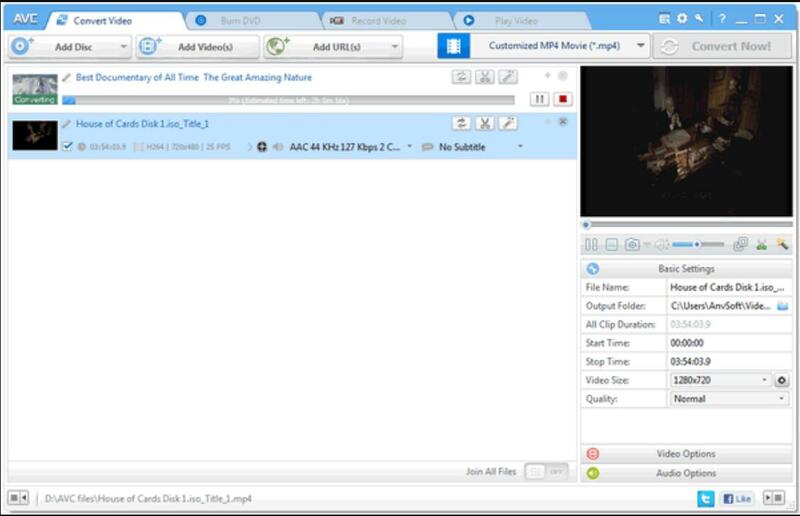 After installing the program you can enter the Leawo Video Converter’s main interface. And then follow my guide to do the conversion. Click the “Add Video” button and load your source video which you want to convert. Find the drop down box next to the “Add Photo” button and select “Change” option on the list. You will enter a subpage including many video formats after clicking the “change” button. 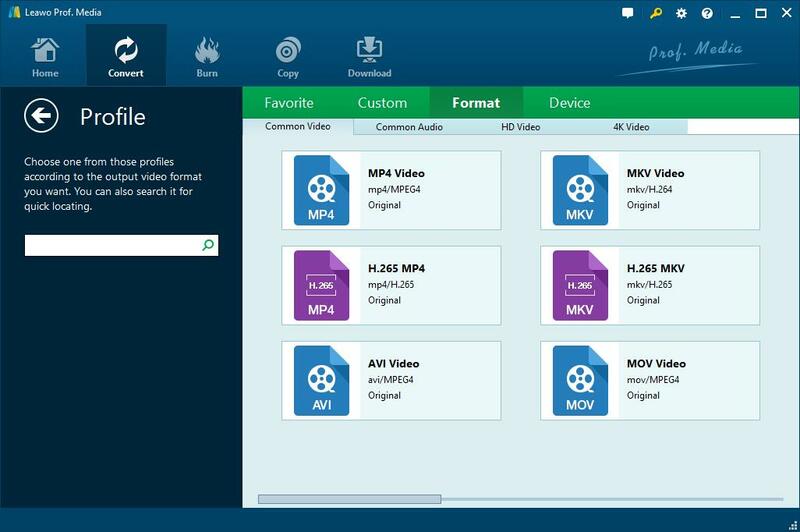 Select the “Device”or “Format” button in the green menu and you will find there are many video and audio formats included in it. Choose a format you want you convert and set it as the output format. To be brief, if you’ve used MPEG Streamclip for a long time, you’ll find that Leawo Video Converter is better in conversion speed and quality. 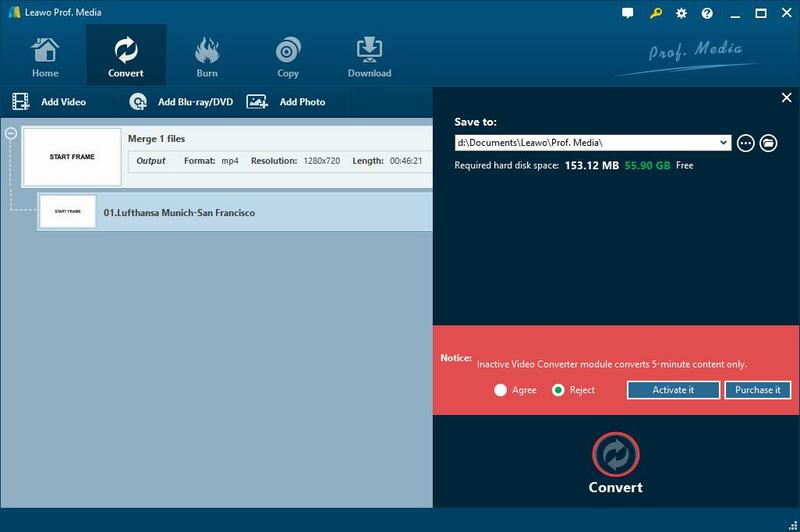 You just need a few steps to finish the conversion job and its friendly operation interface is also one of the reasons I recommend Leawo Video Converter to you. Using Leawo Video Converter you don’t need to worry about the formats supporting and I believe that Leawo Video Converter must be your favorite MPEG Streamclip alternative.